Guide to all Sony Alpha 7 lenses: Which E-mount full-frame FE lens is the best for you? A simple guide to all Sony Alpha 7 lenses: Which E-mount full-frame FE lens is the best for you? Here is our complete overview of available E-Mount full-frame lenses. Use this guide to find the right lens for your Sony Alpha 7 camera. We’re the proud owners of a Sony Alpha 7 II. The camera isn’t cheap and we went back and forth on whether to buy one for a long time. But we haven’t regretted it for a second and the Alpha 7 II has become an integral part of our travel photography equipment. However, not only is the camera far from a bargain, but the lenses for the Sony Alpha 7 series usually don’t come cheap either. Although there are a few exceptions nowadays. Overall, the market for Sony Alpha 7 lenses is still fairly limited, but the selection is improving from year to year. A lot has changed with the prime lenses in particular. To give you an up-to-date overview, this post will introduce you to all the lenses currently available for Sony Alpha 7 cameras. Amazon usually has the best prices for lenses. But sometimes you might get lucky with specialized photo retailers such as Calumet. So it’s always worth comparing. Please note: We receive several emails every day asking us which lens is best for people’s personal purposes. We hope you understand that we can’t manage to answer them all. As a 1-woman-1-man company, we just don’t have the time. Thank you for your understanding. Reading through some of the questions from our readers, we’ve noticed that there’s quite a bit of confusion when it comes to Sony lenses. So we thought we’d start with a general introduction on this topic. A-mount vs. E-mount: What’s the difference? Sony lenses come with two different mounts: A-mount and E-mount. The E-mount is used on the mirrorless Sony system cameras (Alpha 7 series, Alpha 6000 and 5000 series, and NEX series). The A-mount is used for DSLRs. So not every Sony lens fits onto every Sony camera. Always make sure to buy an E-mount lens if you own a mirrorless system camera from Sony. Full format vs. APS-C: What’s the difference? There are also differences within the E-mount lens range. While a full-format sensor is installed in the Alpha 7 series cameras, the Alpha 6000 series, for example, uses an APS-C sensor. Sony Alpha 6000 lenses: A simple guide to all E-mount lenses [+6300 & 6500]. In principle, you can also use these lenses on the Alpha 7, but then you wouldn’t be using the complete sensor and that would be a pity. So when you’re buying lenses for the Alpha 7, always make sure it says something like “suitable for full frame”. Most lenses for the Sony Alpha 7 series are produced by Sony itself, as well as by Zeiss. 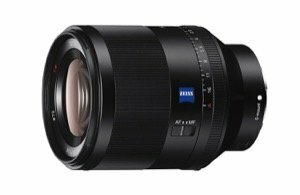 Some of the Zeiss lenses are marketed under the Sony brand, others directly under the Zeiss brand. 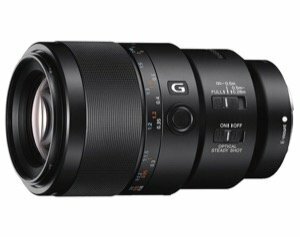 In the range of zoom lenses for the Alpha 7 series, so far there are only lenses from Sony itself, some of them using Zeiss technology. On the other hand, things look very different in the prime lens range, where there are quite a few third-party manufacturers. There are a number of relatively cheap lenses from Samyang, as well as a few very special lenses by high-end manufacturers such as Meyer Optik Görlitz and Voigtländer. Let’s start with the zoom lenses for the Sony Alpha 7 series. 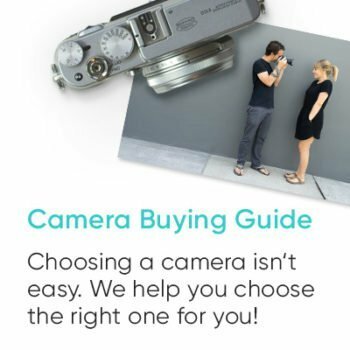 There are also kit offers for professional cameras. Who would have thought? Since it was hardly any more expensive than just buying the body, we bought our cameras in a kit with the 28-70 mm, f/3.5-5.6 zoom lens. The outcry is unwarranted though, because the lens offers a more than decent image quality and we can recommend it wholeheartedly. 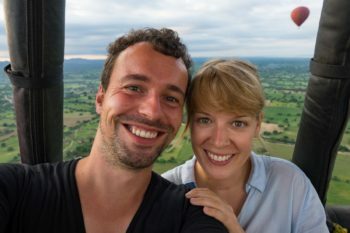 Many of the photos from the last few months on our travel blog were taken with this lens, so you can go ahead and check the picture quality for yourself if you like. If you haven’t purchased a Sony Alpha 7 II yet, we recommend buying the camera with the kit lens. That way, you’ll get the lens at a slightly lower price than if you bought it separately. 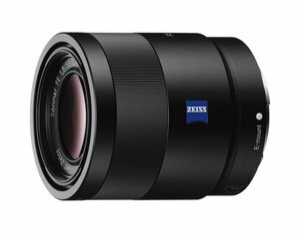 The stand-alone lens is currently available for about 450 euros. The Sony SEL2470Z offers even higher quality than the 28-70. It has a good resolution in all zoom ranges, an aperture of f/4, and a slightly wider angle than the 28-70 mm. 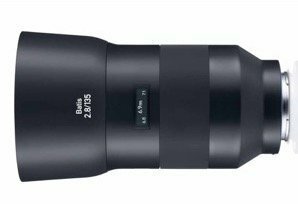 An all-around satisfying and high-quality lens with Zeiss technology for everyday use. Of course quality has its price: Sony’s recommended retail price is 1,249.00 euros, and it’s currently available for around 900 euros. The best, but also most expensive, choice among the zoom lenses for the Alpha 7 series is the 24-70 mm with an aperture of f/2.8. 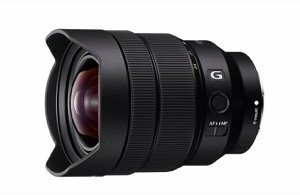 Sony’s G Master lenses promise a particularly high level of detail and outstanding bokeh. After weighing the pros and cons, we went ahead and bought this lens and are absolutely thrilled with it. This lens is specially designed for the requirements of recording video. The special Smooth Motion Optics design provides the best possible image quality for filming and the precise and quiet autofocus is perfectly suited for the requirements of filming. With a weight of 1.2 kg and a price of about 2,000 euros, this lens is primarily intended for use as a specialized tool for professional video recording. The SEL24240 is an all-rounder for on the road. 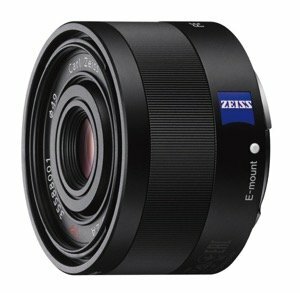 It has the largest zoom range of all full-frame E-mount lenses. The SEL24240 is protected against dust and moisture, and is a good always-on lens for your travels, whether you’re shooting snapshots, landscapes, or wildlife photos. The only drawback is the weight of 780 grams, but that’s still low compared to a telephoto lens. While it can’t rival a specialized lens in terms of quality, it’s still a great choice for traveling. It’s currently priced at around 850 euros. So far, this is the only wide-angle zoom lens available for the Alpha 7 series, but it leaves nothing to be desired. We own the lens ourselves and are very satisfied with it. The maximum aperture is f/4, which is perfectly fine for a wide angle. The zoom range of 16-35 mm gives you a lot of flexibility for different situations, so you can leave this lens on the camera a lot of the time. 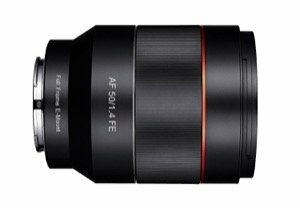 This lens is currently priced at around 1,200 euros. 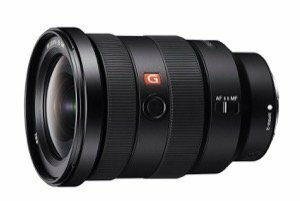 A brand new G Master version of the 16-35 mm has just been released. 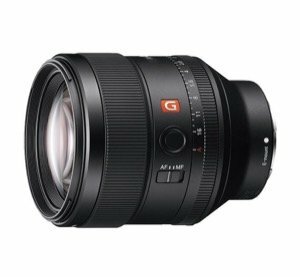 With an aperture of f/2.8 and the image quality the G Master lenses are known for, this version is the ultimate choice among wide-angle lenses for the Sony Alpha 7 series. Of course all this has its price, and it’s quite steep at about 2,600 euros. 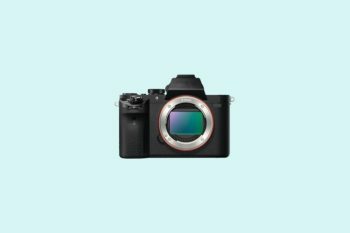 For a long time there were hardly any alternatives for full-format cameras with an E-Mount in the field of wide-angle lenses, but now Sony has finally added one to its range. This 12-24 mm lens is an ultra wide-angle lens that meets the highest demands. The price for this lens is about 1,900 euros, so it’s not exactly a bargain. 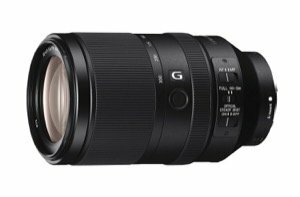 There are three telephoto zoom lenses for full-frame E-mount, so you’re pretty much spoiled for choice. All three lenses belong to the G Master series. 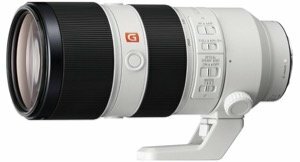 In our opinion, the 70-200 mm, f4, which is generally available for around 1,300 euros, offers the best value for money. The lens has an aperture of f/4 and weighs 840 grams. A tripod mount is included to improve stability. If money isn’t an issue, then the 70-200 mm with a lens speed of f/2.8 is the perfect choice. 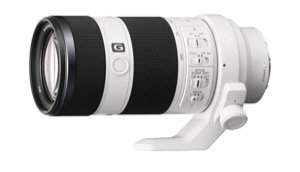 But you’ll have to put down about 3,000 euros and the delivery times for this lens are pretty lengthy too. It weighs about 1.5 kg, so the included tripod mount really comes in handy. This lens offers the largest zoom range with a focal length of 70-300 mm. The downside is the underwhelming aperture between f/4.5 and 5.6. Despite its weight of about 850 grams, this lens doesn’t come with a tripod mount. It’s priced at around 1,400 euros. There’s a much wider range of prime lenses with a fixed focal length available for the Sony Alpha 7 series Not only Zeiss and Sony, but also numerous third-party manufacturers have staked their claim in this segment. There are more than 50 prime lenses for E-mount full frame. To prevent this post from becoming endlessly long, we’ll only be discussing lenses that use autofocus. We’ve listed the lenses without autofocus, but without reviewing them in detail. Here we go. In the following, we present all available prime lenses for full-frame E-mount. We’ve sorted the lenses in ascending order by focal length. This 14 mm wide angle lens is one of only two lenses with autofocus for the Alpha 7 series made by Samyang. The lens offers good image quality, is fast, and at a price of less than 700 euros, it’s also pretty good value for money. Biggest flaw: The lens hood is fixed so you can’t attach any screw-on filters. 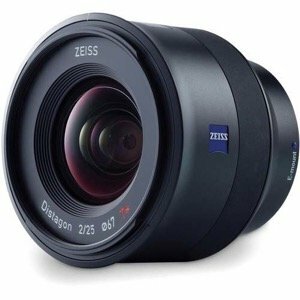 With its 18 mm lens from the Batis series, Zeiss offers a high-quality wide-angle prime lens. The lens is ideal for landscape photography. Even with an open aperture, the imaging performance is outstanding. The lens is also protected against dust and splash water. At just under 1,500 euros, however, it also comes at a high price. The Zeiss 25-series is already basically a classic among the wide-angle prime lenses for the Sony Alpha 7 series. It’s frequently named as the best wide-angle lens for E-mount cameras. The lens is very fast with an aperture of f/2. It’ll take up a fair bit of space in your camera backpack, but at least it’s relatively light. It’s priced at around 1,300 euros, but the lens is worth it. This lens is a great starting point into the world of prime lenses if you don’t want to put down big bucks right away. 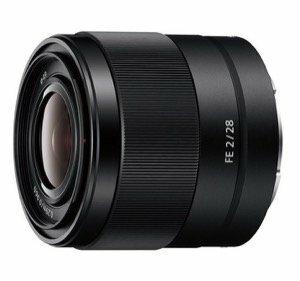 With its f/2 aperture, it’s very fast and takes good pictures even in low light conditions. The autofocus works reliably and at a price of around 400 euros you can’t really go wrong with this lens. The somewhat lighter wide-angle lens from Zeiss is very well suited for landscape and street photography. The lens is small and compact, making it the perfect match for the similarly compact Alpha 7 cameras. The lens costs around 700 euros and won’t take up much space in your camera bag. And yet another 35 mm prime lens from Sony. This lens excels with its incredible lens speed of f/1.4. However, that also means it’s very bulky and heavy. But the image quality is excellent and the bokeh is also very impressive. This lens is priced at around 1,500 euros. 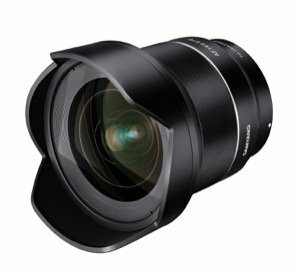 In the 35 mm prime lens range, this lens by Samyang offers a very good alternative to Sony lenses. Especially the small size and the light weight make this lens so interesting. The image quality is good and the price is still reasonable at around 300 euros. A very light and powerful lens at only 186 grams, easy to use for beginners. It makes very sharp pictures with an open aperture and can conjure up very nice bokeh effects. We were lucky enough to get a bargain at a clearance sale, but even at full price, it’s a very affordable lens. The image quality is simply outstanding for the price, but unfortunately the autofocus is very loud and slow. If you can live with that, this lens is definitely a good investment at less than 300 euros. 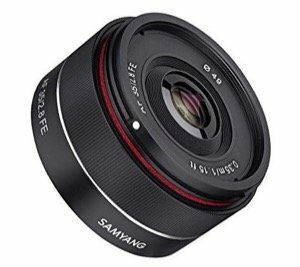 Samyang offers another inexpensive alternative with its 50 mm lens. The image quality is very good and the lens is extremely fast with a maximum aperture of f/1.4. Only the autofocus leaves something to be desired with this lens. But it still might be worth considering due to its low price of about 550 euros. 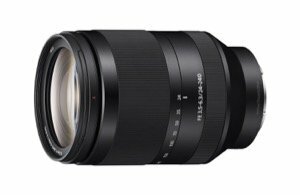 Sony also offers its own 50 mm, and it’s an absolute top-of-the-range lens. The lens stands out due to its great resolution, high lens speed, and super-smooth bokeh. It’s quite bulky for a 50 mm lens, but the photo quality is excellent all around. The price isn’t exactly low at just under 1,600 euros. 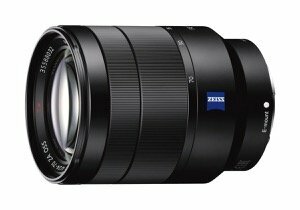 But then again, it’s certainly justified for a high-quality lens with Zeiss technology. And here’s the third 50 mm lens from Sony. This lens is a macro lens and is very good for this purpose. If you’re interested in macro photography and are looking for the right lens for the Alpha 7 series, this is a very good choice. The price is also pretty reasonable at just under 600 euros. This lens offers superb image quality even in low light conditions, beautiful bokeh effects, and a fast autofocus. Sharpness, contrast and the colors of the images turn out almost perfect, and at a price of about 850 euros this lens is almost a bargain. The 85mm lens for Sony E-mount is probably one of the best portrait lenses on the market today. With its 821 grams, the lens isn’t exactly a lightweight, but it delivers excellent images. The autofocus is very precise, while the sharpness and the level of detail are simply outstanding. Every hair of your model will be visible on the picture, that’s how sharply this lens takes pictures. Of course, all this comes at a price. You’ll have to put down about 1,800 euros for this premium lens. 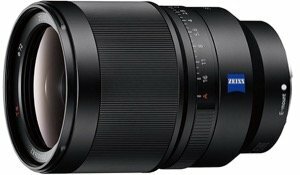 The 85 mm lens from Zeiss is considerably lighter and also much cheaper. It’s also a very good lens for portraits, has an optical image stabilizer, and of course it’s very fast. It’s also relatively light for its size and handles well. The sharpness of the aperture is great, and so is the bokeh. The Batis also has an OLED display, which shows depth of field and focus distance. The lens has typical Zeiss quality workmanship, although the plastic lens hood is somewhat disappointing. But all in all, it’s a high quality lens that could be yours for about 1.200 euros. 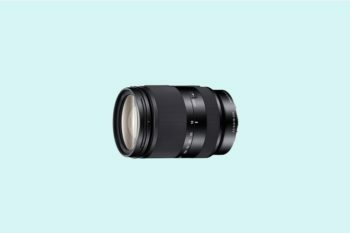 At the higher end of the focal length scale below the prime lenses with autofocus is Sony’s 90 mm lens, which was specially designed to meet the requirements of macro photography. The lens is pretty bulky and definitely not a lightweight, but it does an excellent job at macro photography. It’s priced at just under 1,000 euros. 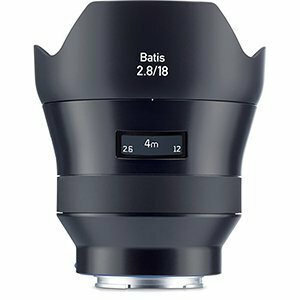 The 135 mm Zeiss Batis is a portrait lens with a fixed focal length of 135 mm. 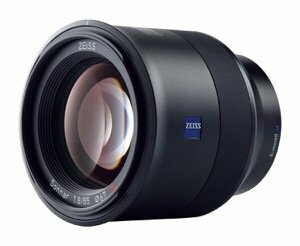 As usual for Zeiss, it meets the highest standards. But then at a price of 2,000 euros, it isn’t just playing in the big leagues in terms of quality. Then there’s a huge range of prime lenses for the Alpha 7 series that come without autofocus. Manual focusing works very well with the Alpha 7 cameras’ focus-peaking function, so these lenses are certainly an alternative. 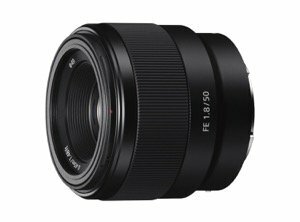 Please note: There are some other prime lenses with manual focus that aren’t available in Germany yet. We’ve only included lenses in our list that are available in Germany. Which lens for the Sony Alpha 7 series would you recommend? Wow, that was a lot of lenses! We hope our overview helped shed some light on the convoluted lens market. Now we’re looking forward to hearing about your experiences. Which lenses do you use for your Alpha 7 camera? How satisfied are you with them? 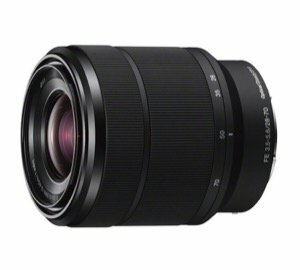 Which lens do we absolutely have to buy? Please let us know in the comments below. 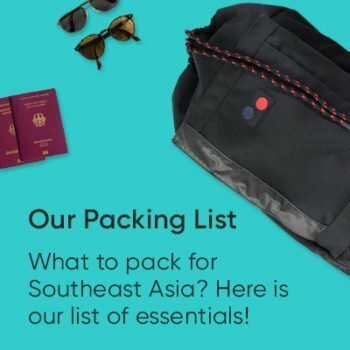 This guide is super awesome! Super complete with great information. 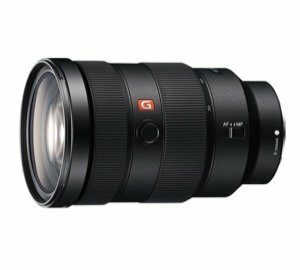 I was looking for good lenses for my new Sony A7 III and found this article. Really useful and not boring to read it. Thanks for this! 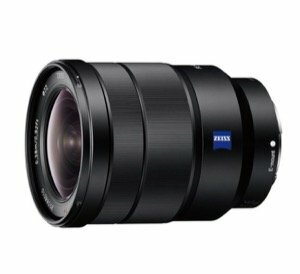 I’ve just made the transition from a canon 5d mkiii to a Sony A7ii and I was looking for a guide on the compatible lenses. I found this really helpful. Thank you. 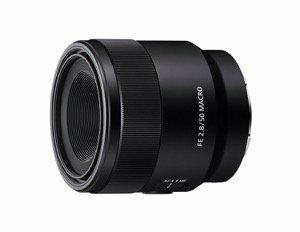 What do you think of the Sony FE 24mm F1.4 GM? 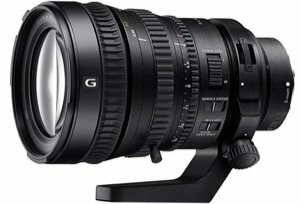 It’s amazing like all the G master lenses. But it’s pretty expensive: https://amzn.to/2TG69SS. What a great overview. Invaluable in making some very important purchasing choices. Thank you!